When I was about eight years old, my parents took me to see the film The Sound of Music for the first time. It was the mid-1970s, and we were in a grand old-fashioned one-movie-at-a time theatre in San Francisco. There are many scenes that have stayed with me, as it remains my favorite movie to this day. 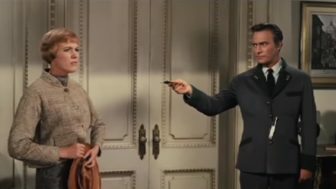 But the scene I recall most distinctly is when the governess Maria (played by Julie Andrews), tells the captain, a widowed father of seven (played by Christopher Plummer) that she will not respond to a whistle. If you haven’t seen the film, here’s how the scene plays out. The captain has been unsuccessful in retaining a nanny for his seven precocious children because what they really want is his attention — but that’s another story. He’s in the process of hiring Maria, a young nun who’s been sent away from her convent to decide if the sisterhood is really for her. The captain is used to running his household like the Austrian naval ships he commands, and he attempts to apply the same practices to “running” Maria. Maria: Oh, no, sir, I’m sorry, sir. I could never answer to a whistle. Whistles are for dogs and cats and other animals, but not for children, and definitely not for me. It would be too … humiliating. Maria: Oh, much more, sir! Maria: Excuse me, sir, I don’t know your signal. That scene changed me. With that I realized a woman, even a young woman with no perceived power, could demand respect and still succeed. Why does Maria matter in an article about how workplace culture and leadership affect an organization’s likelihood to be impacted by bullying and sexual harassment? Maria matters because she demonstrated how to stand up for herself. In that scene she became a role model for me and I imagine many other girls. In Miss Representation, a 2011 film exploring the underrepresentation of women in positions of power, Children’s Defense Fund founder Marian Wright Edelman says, “You can’t be what you can’t see.” This sentiment expresses why we need diversity in ethnicity, gender and sexual orientation in careers, to inspire others to reach for those roles. It also applies to the values and behaviors that we need to see in both current and aspiring leaders — specifically, bravery and demand for respect. I thought of Maria and the whistle scene many times in my media career, especially when I questioned mores or behaviors that I felt were detrimental to me, my colleagues or my organization. Her dignified example of how to demand respect was one of the things that motivated me to found Public Media Women in Leadership, a network for women in public media to hone their leadership skills. The need for diversity in our industry’s leadership was so apparent. I knew that resolving it would require a new approach — one that brought more attention and resources for those working to thoughtfully to address the problem. Much of the conversation within public media about the impact of sexual harassment, bullying and, more recently, racial inequity has focused on details of who, what, when and where. But there hasn’t been enough discussion about why these behaviors were tolerated. I believe the reluctance to ask “Why?” is due in part to the disbelief and embarrassment we all feel. It’s hard to acknowledge that, yes, it’s happening here, too. Since January I have produced three public media conference sessions about workplace sexual harassment. The fourth and final session is scheduled for next month’s Public Radio Super-Regional meeting in Atlanta. In all of the sessions produced so far, we covered the critical need for leaders to prevent behaviors that lead to sexual harassment — bullying, lack of accountability and favoritism — from taking root in our workplace culture. The session at the Public Media Development and Marketing Conference was the most raw and honest. It focused on the experiences of frontline fundraisers and how they’ve been impacted in the era of the #MeToo movement. Rather than allowing issues to be spoken about freely and openly … our culture too often accepts that it’s best to be silent and just look away. This session was led by two people from outside of our industry: David Chow, director of philanthropy for the Department of Medicine at the University of Washington and author of a Capstone Project on sexual harassment in development; and Sarah Beaulieu, a development professional and founder of The Uncomfortable Conversation, an organization dedicated to normalizing discussions around the topic of sexual violence. The two moderators were very effective in getting attendees to participate. Sarah facilitated scenarios based on real-life experiences and showing how leaders and frontline staff could respond in real time. PMDMC organizers also provided a mobile platform that allowed participants to ask questions and suggest scenarios anonymously. That gave everyone in the session an opening to consider and discuss how they would respond. One young leader described how he confronted a long-time volunteer who was harassing a staff member. The volunteer became defensive and threatened to stop supporting the station with his time and money. In discussing how he handled the situation, the leader questioned whether he had made the right decision. He opened up a lively discussion about the bravery it takes to stand up for what’s right, and how important it is to demonstrate to staff that they’re believed and supported. We also discussed the “why” of this real-life scenario. Why would this long-term volunteer become so defensive and take his time, talent and treasure away from the station — unless the allegations were true? This scenario-based process at the PMDMC session provided an example of how these “uncomfortable conversations” can come to life, and it demonstrated the power of creating safe spaces for us to open up, explore the issues together and help each other identify the “why”s behind problematic behavior. And, hopefully, participants will come up with answers that don’t keep them up at night. I urge all leaders in our industry to consider adopting this process within their own stations. Because of the numerous questions we didn’t get to in the sessions, I know it’s needed within more stations. What do you do when a donor makes you uncomfortable? How can we make sure donors don’t act inappropriately? How can I turn down invitations from higher-level employees that make me uncomfortable and do it in a way that won’t hurt my standing in my organization? I have a leader who critiques my colleague’s outfits and also makes anti-Semitic statements on a regular basis. The leader is very old but is at the top of the organization. How do we deal with that? How do I empower and educate younger female colleagues who don’t realize or seem to care that a donor’s aggression is unacceptable and unwarranted? Is it my job to make them care or do I let it go if it doesn’t bother them? What advice do you have if the boss takes the perpetrator’s side? The perpetrator just denied everything and the boss believed it. And now you are seen as “starting drama.” The boss is a GM favorite, so you feel the only option is to leave organization. In my nearly 30 years in public media, I’ve found we are much more comfortable smiling politely or making an awkward joke when topics such as inequities in race, gender or workplace/sexual harassment come up. But those uncomfortable subjects become the topic du jour in private conversations at the bar or in the conference hall. Rather than allowing the issues to be spoken about freely and openly — in a dialogue where there is acceptance and curiosity — our culture too often accepts that it’s best to be silent and just look away. But the core function of any management executive job is to face difficult situations head-on. Staff expect us to solve these problems and to be fair in holding people accountable for their actions. Sarah Beaulieu calls for leaders to normalize the uncomfortable conversation because that process leads to understanding, engagement and eventually change. I have seen this myself when leading conversation circles at industry conferences on behalf of Public Media Women in Leadership. During those circles I’ve learned as much about the challenges of leadership in our industry, and what is needed to prepare the next generation of leaders, as I have in my jobs in public media management over the past 20-plus years. These circle conversations are intimate and nonjudgmental. Participants are free to share openly and garner advice, particularly from the older women in the room who have paved the way. I believe the day is coming when public media leaders move to address problematic workplace experiences as they’re happening — or, even better, before they happen. But this must start with each individual. We all have to embrace our inner Maria and find a common vocabulary to walk toward the uncomfortable conversation, rather than saving our comments for the hallway, watercooler or bar. In public media we are known to have the highest standards for balance, fairness and trust in everything we do for our audiences. We owe it to the future of our industry to do the same for the people who work for us and want to be part of organizations as great as what we stand for. 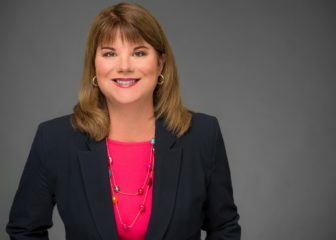 Deanna Martin Mackey is president of the Public Television Major Market Group, a consortium and leadership organization for stations in the largest markets in the United States. She’s also founder of Public Media Women in Leadership, which provides mentorship and training for women and addresses gender inequality in public media’s executive ranks. She worked at KPBS in San Diego for 25 years of her career, leading the station as COO and station manager during an expansion of its newsroom and digital operations.